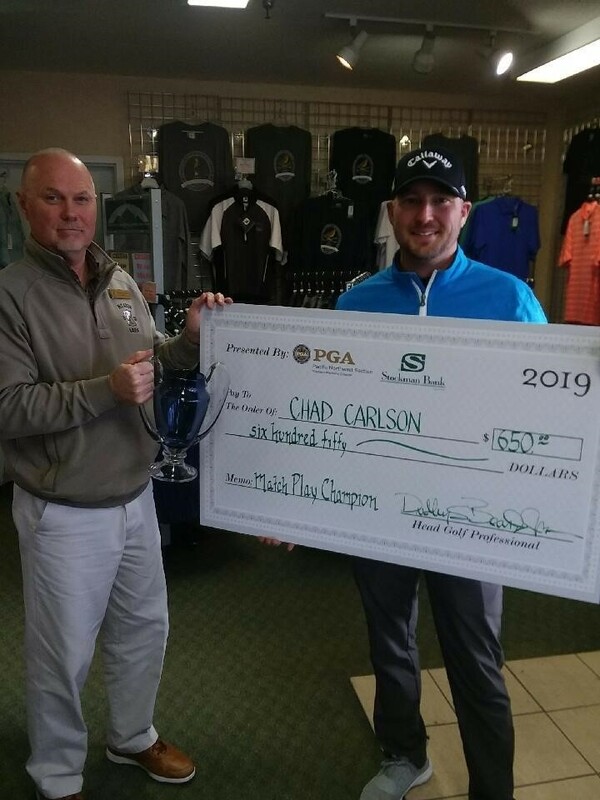 Chad Carlson of Green Meadow Country Club in Helena, MT managed five straight victories to stand alone as the 2019 WMC Match Play Champion. Questionable weather throughout this 3 day event made for tough playing conditions at Meadow Lark Country Club in Great Falls. Carlson won three straight holes to close out competitor David Owens 6 & 5. Greg Morris of Iron Horse Golf Club and Josh Walsh of Butte Country Club also made great runs winning 4 matches before falling in the semi-finals and splitting 3rd and 4th place prizes respectively. Special thanks to our host Meadow Lark Country Club and event sponsor Johnson Distributing – Club Car.